​ College changes everything! Check out this powerful video. 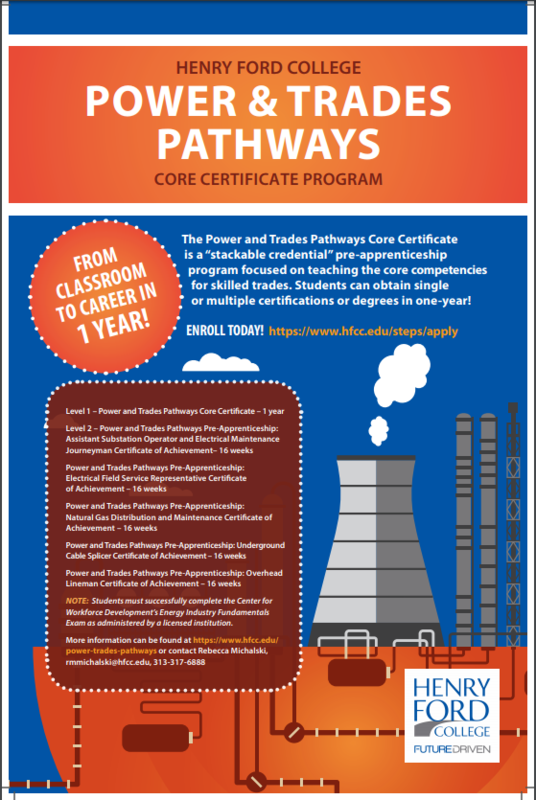 A career in the Trades may offer apprenticeships, certifications and other post-secondary options that do not require a four-year degree. workforce.resa.net *One stop shop of resources dedicated to Wayne County workforce development. https://pathfinder.mitalent.org/#/home*Free career exploration tool that provides real-time current Michigan labor market information to students, their parents, and all job seekers. Please contact our Career Counselor, Mrs. Strohbeck, using this link or by email strohbs@resa.net. Send your transcript to colleges with Parchment. Make sure to check the school Twitter, Facebook, and Remind about helpful resources and college visits! 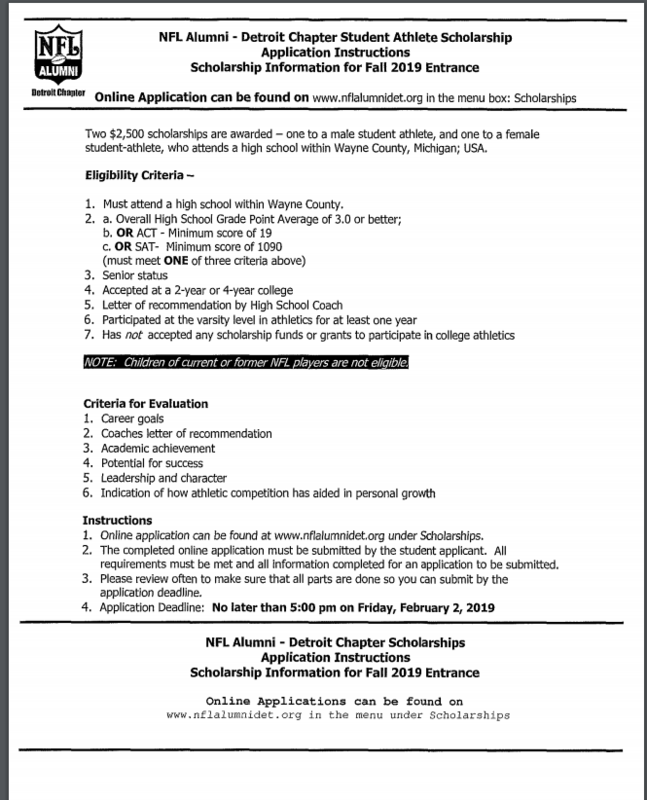 Please visit the Scholarship link on the FHS main page OR the CIC Scholarship wall located in the Guidance office for a complete list of scholarship offerings. Applying for scholarships can feel like an incredibly daunting task on top of everything else that goes with preparing for college; however, in the long run, the hours spent applying for scholarships can save a person from thousands of dollars of debt. Time Magazine released some tips on how to win scholarships earlier this year and we’ve picked a couple of our favorites, along with some tips and tricks of our own. Local scholarships provide the best odds due to the fact that they are open to a smaller group of students. Many of these local scholarships are provided through the community foundation in your county; check with teachers, guidance counselors, and even Google to track down the best scholarships that could be right in your hometown. Our customer care unit is available to help students with their search too. With a simple phone call to 1-888-4-GRANTS, our team will look-up scholarships based on where you live and what your interests are. Do you know the main sources of financial aid? Federal and state government, colleges/universities, and private entities provide a majority of the financial aid in the US. Now, these are not all scholarships, which is why it is important to do your research because most financial aid is awarded based on the FAFSA, private scholarships are not. When looking for scholarships, start local and work your way outward. Search your church Web site, community portals, TV and radio station Web sites, small businesses, and benefactors; when it comes to hunting down free money, leave no rock un-turned. You never know who is willing to give out a scholarship until you start looking! Think about it, everyone has an attribute that sets them apart from the rest of the world. Are you abnormally tall? Left-handed? Vegetarian? Been in a car crash? Many people and institutions give out scholarships for unique qualities because it means you have a story to tell and a different perspective to bring into the world. Take some time to think about anything that could make you unique and do some research, you never know what money could be out there for you! This may seem like a no brainer, but a reminder to proofread that essay could be the difference between your essay getting read or thrown out. Read your essay out loud, this is a good way for you to really be able to listen to how your essay would sound to someone else. Your brain has a way of fixing errors for you when you read in your head, which makes reading out loud to yourself or to your parents a great method to correct any errors. Alleviating grammatical errors ahead of time allows the reviewer to concentrate on the content of your essay without being distracted by mistakes. Take a look at everything that you need for the scholarship application, some scholarships need more than just an essay, you might also need to provide a copy of your resume. It is important to make sure that your resume details your experiences with community involvement, such as community service, any clubs or organizations, or even general volunteer experience. Being able to show that you can give back to the community makes scholarship donors more likely to give their money to you. to help you with your scholarship search! Students are encouraged to attend college representative visits during school hours. The schedule of visits is posted around the building in Franklin High School. Students must request a pass from their Guidance Counselor to attend a session. Students can learn about open houses on various campuses in Michigan by visiting the Career Information Center, Room 200, adjacent to the Guidance Office. A bulletin board on the West wall in the CIC has this information. College Changes everything!- powerful video check it out. ​If you have any questions or comments about the webpage, please email Mr. Ferrell at cferrell@livoniapublicschools.org.